Windows 10 update KB4038788 Build 15063.608 is now available for download for Creators update users. The update includes bug fixes and other system improvements. Users will see a new 2017-09 cumulative update for Windows 10 Version 1703 for x64-based Systems (KB4038788) in their system update. The new update KB4038788 has fixed multiple issues including an issue in the Mobile Device Manager Enterprise feature to allow headsets to work correctly. The new patch has fixed a reliability issue when playing specific types of spatial sound content. Previously, the company released update kb4034674 Build 15063.540. Check out more details about the latest update below. Addressed issue where you can’t open the Start menu when you add a third-party IME. Windows 10 update KB4038788 Build 15063.608 fixed an issue where Windows Error Reporting doesn’t clean up temporary files when there is a redirection on a folder. Addressed issue where revoking a certificate associated with a disabled user account in the CA management console fails. The error is “The user name or password is incorrect. 0x8007052e (WIN32: 1326 ERROR_LOGON_FAILURE)”. Windows 10 update KB4038788 Build 15063.608 fixed an issue in Internet Explorer where undo is broken if character conversion is canceled using IME. Windows 10 update KB4038788 Build 15063.608 fixed an issue where some apps cannot be opened because the IPHlpSvc service stops responding during the Windows boot procedure. Windows 10 update KB4038788 Build 15063.608 fixed an RemoteApp display issues that occur when you minimize and restore a RemoteApp to full-screen mode. 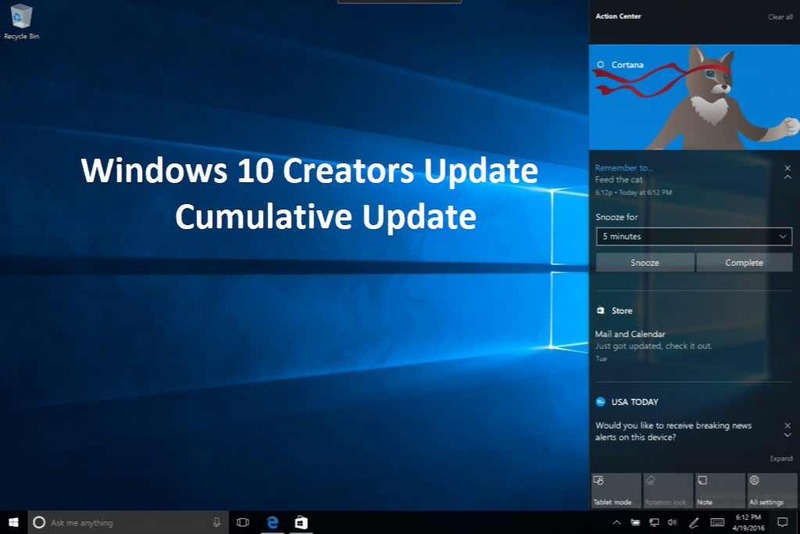 Windows 10 update KB4038788 Build 15063.608 fixed an issue where clicking the buttons on Windows Action Center notifications results in no action being taken. Check your update for 2017-09 cumulative update for Windows 10 Version 1703 for x64-based Systems (KB4038788) and download latest Windows 10 update KB4038788 Build 15063.608 for your PC. The cumulative update KB4038788 links will be available on websites.